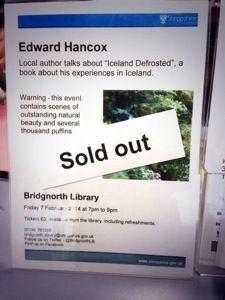 It’s been a crazy few weeks promoting Iceland, Defrosted. It feels like I’ve been on tour, well, almost. It started a couple of weeks back with a visit to Bristol to the SilverWood Writers & Open Day, held in Foyles, Bristol. 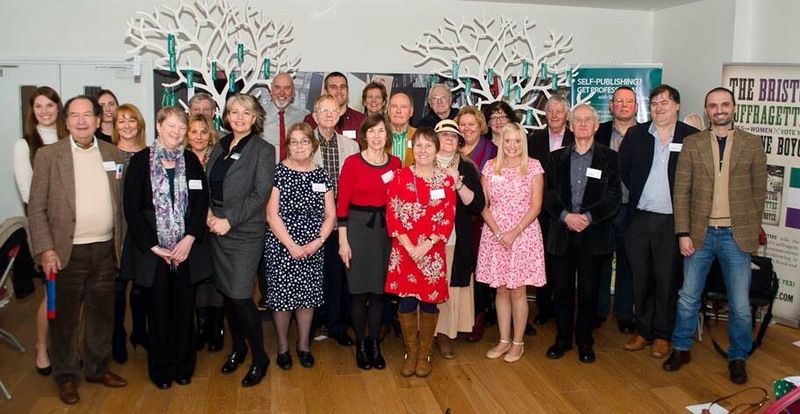 It was great to meet my fellow SilverWood authors including Sandy Osborne, Alison Morton, Wendy Percival, Debbie Young, Dave McCall, Helen Hollick and loads of others. This list is not exhaustive! It was also fantastic to meet all of the SilverWood team – I’d met Helen Hart before, but Emily, Joanna and Sarah were friendly and welcoming. Emily & Sarah have been particularly involved the production of Iceland, Defrosted – mainly problem shooting – so it was nice to thank them in person for all their hardwork. SilverWood are such a supportive outfit. Helen describes it as ‘hand holding for new authors’, and she is right. I gave a short input about crowdfunding, and read an equally short passage from Iceland, Defrosted. I then took questions from the audience as part of a Q & A panel. I found this bizarre as I don’t consider myself an expert on anything. Next up was Nordicana, in London. A festival of everything Nordic, but with a focus on Scandicrime, I wasn’t quite sure whether I would fit in. I needn’t have worried – I had been asked to do a signing on Sunday afternoon, but the book had sold so well, there wasn’t enough copies left for me to sign. It’s a nice problem to have, I suppose. Finally, yesterday I gave two author talks at two local libraries. I was invited to do so by Shropshire Libraries, and I was delighted to oblige. The events were to celebrate National Library Day, and having been a lifelong Library user, coupled with the Icelandic obsession for all things bookish, it seemed to make sense. I was shocked to find that both events had sold out; I’ve never sold out anything before, and probably never will again. People were even turned away at the first event! Anna from Wenlock Books came with me to provide both support and books, whilst my sister helped by reading a couple of passages to give me (and the auidence) a break. Staff at both libraries were very supportive, even if one honestly thought I was bringing a live puffin with me. It was lovely to have such keen, attentive audiences – it made my job so much easier. I don’t think I’ll ever get used to signing books; I still feel self-conscience doing this, probably stemming from the fact that I don’t feel like an author. Yet. – Puffins mate for life. Unless a hotter, more attractive puffin comes along. – There is an 82% chance a concealed puffin is staring at you right now. – Puffins take it in turns to pose for tourist’s photos. During the busy summer months, there is a three day on, two day off shift pattern. – A Puffin once wandered into the BBC newsroom by mistake, but was interviewed about politics anyway. – If you count the lines on a Puffins beak, this has absolutely nothing to do with how many years old they are. All in all, I received overwhelmingly good feedback, and it’s given me the confidence and motivation to do further book events in the future. Now all I need is a puffin to come with me!